Classifying more than 25 service providers, Everest Group named Accenture as the overall Leader and Star Performer based on the research firm’s PEAK Matrix™. 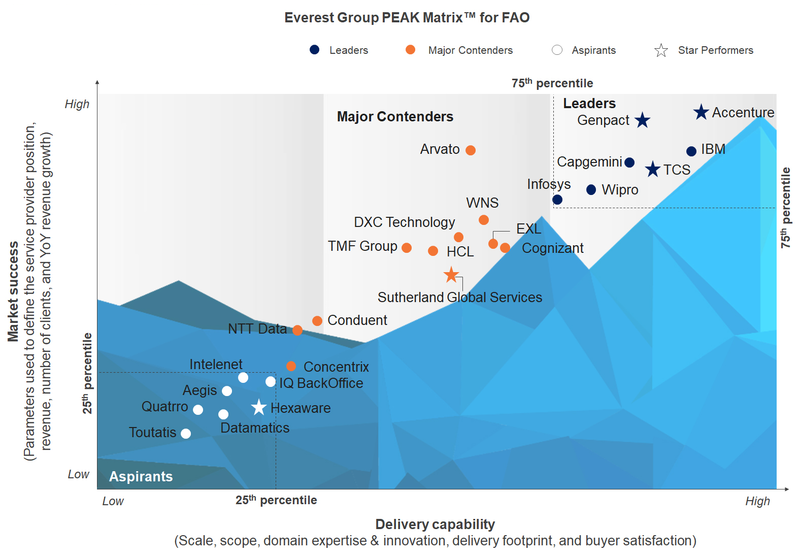 Everest Group’s latest Finance and Accounting Outsourcing PEAK Matrix™ Service Provider Landscape, released in November 2017, recognizes Accenture as the leading provider in terms of both market success and delivery capability. In addition, Accenture was named a Star Performer, based on its relative year-on-year positive movement on the PEAK Matrix. Easy right? It is with Accenture. Read about our Finance & Accounting business process services. Markets are growing increasingly dynamic, spurring business leaders to seek the flexibility enabled by artificial intelligence.